You are looking at a Medal for Bravery during the reign of Tsar Nicholas II. He came with the decree by which the Medal for Bravery could henceforth be awarded to military and police personnel as well as to civilians, doctors and red Cross nurses for acts of bravery in times of war. 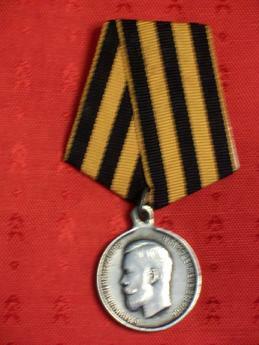 The obverse of the silver Medal for Bravery shows the truncated bust of Tsar Nicholas II facing left encircled by an inscription meaning: "By the Grace of God Nicholas II Emperor and Autocrat of All Russias". 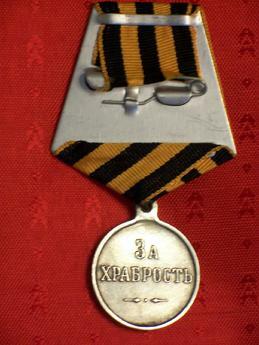 The reverse of the Medal bears an inscription meaning: "For Bravery".